Just less than a year ago, an unassuming right-arm fast medium bowler made his Test debut for South Africa – four years after debuting in both the limited-overs formats. Back in 2007, Vernon Philander was overlooked after a few appearances for the South African ODI and T20 teams, but something about his bowling suggested that he was more suited to the longest form of the game. Philander was just 22 then, and he staked his claim with consistent performances for the Cape Cobras in the 2010-11 – he bagged 35 wickets an average of just over 16. This excellent showing was enough for the selectors to pencil him in for the two-Test home series against Australia in November last year. And what a debut it was – Philander starred in his very first match at Cape Town – becoming the Man of the Match with match figures of 8/78, including an astonishing 5/15 in the second innings – as Australia collapsed for just 47, eventually losing the Test by 8 wickets. He followed it up with another fifer in the next test at Johannesburg – and a trend had begun. Almost in an instant, he has taken the cricket world by storm. 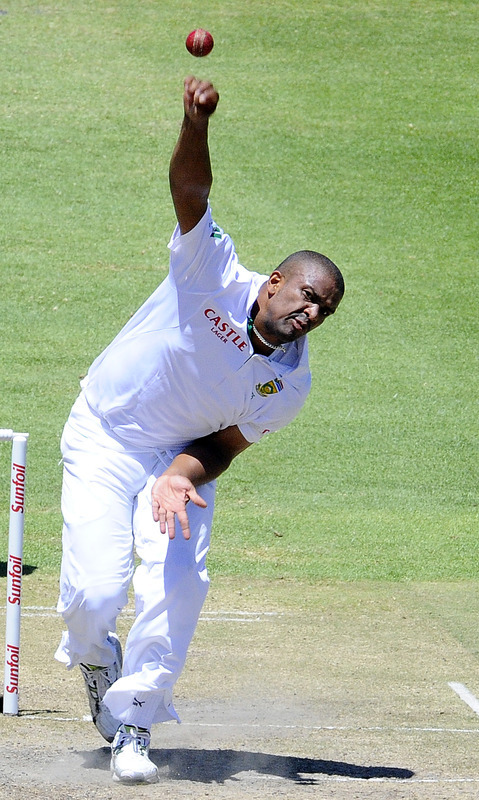 Philander’s stats after 10 Test matches read – 63 wickets at an average of 15.96 and a strike rate of 33.1. What is it that has enabled him to achieve such outstanding feats so early in his Test career? For starters, it is the simple rule of ‘line and length’ that he religiously adheres to. 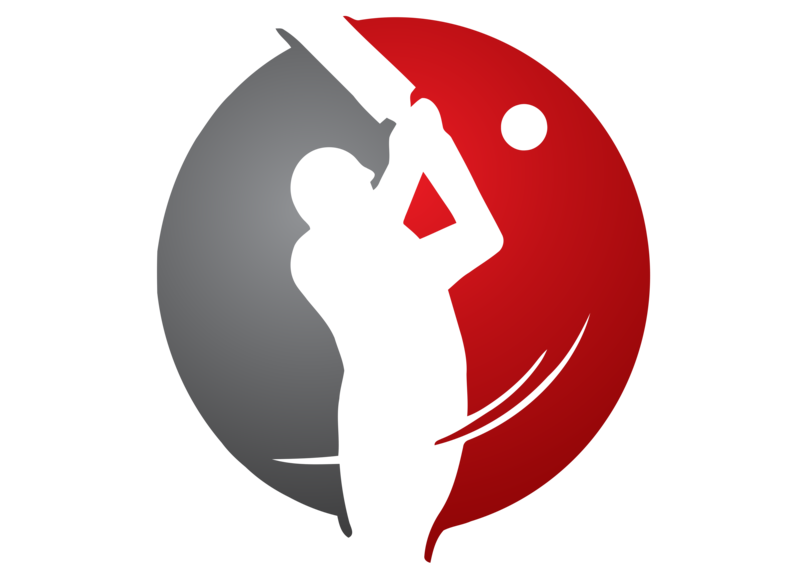 One can seldom see any movement after he releases the ball – instead the movement is after the ball pitches, and this can limit a batsman’s scoring opportunities. Hence many of Philander’s deliveries end up in the safe hands of either the wicketkeeper or the slip cordon – in many of his wickets, he seems to make it look as if the batsman had no other choice. This very basic but extremely important lesson of ‘line and length’ was what eventually helped a certain Glenn McGrath end up with a record 563 wickets (the highest ever for a seam bowler). Rarely did we see ‘Pigeon’ spray his deliveries around. Philander became the second fastest bowler in Test history, and the fastest in 116 years to reach 50 wickets – he did it in only 7 Tests. In only ten Tests, he has recorded 7 5-wicket innings hauls (with a best of 6/44 against New Zealand at Hamilton), and 2 10-wicket match hauls (with a best of 10/102 against Sri Lanka at Centurion). It is true that he has played all his matches on conducive wickets so far – four at home, and three each in New Zealand and England. His series in England a couple of months ago was below-average compared to his early standards, but he neutralised that with a return of 5/30 in the crucial second innings of the third Test at Lord’s, which South Africa won to seal the series and became Test champions. England got a taste of his batting capabilities too at Lord’s, where he made two crucial knocks of 61 and 35 to win the Man of the Match honour. South Africa play their next three series in Australia and at home (against Pakistan and New Zealand). That means Philander has eight Tests in favourable conditions to further enhance his reputation as a Test bowler. He is sure to reach a hundred wickets during these matches – and many more – if he bowls the way he has thus far. The record for the least number of matches played to reach 100 Test wickets is held by the English seamer of yore – George Lohmann, who achieved the feat in 16 Tests way back in 1896. Philander requires 37 wickets in 5 Tests to break that record – quite possible, given his amazing average and strike rate. However, the greater challenge will come when he bowls on the slow sub-continental tracks, where it will be difficult to get movement off the pitch. The ferocious Dale Steyn (with a stunning 287 wickets in 57 Tests at 23.5) has raw pace, while the tall Morne Morkel (150 in 42 at 30.36) has the knack of hitting the deck hard. Over the last year, Philander has added the dimension of extreme accuracy to this pace attack, and now opponents realise that there is a three-way threat when they face South Africa. The Proteas’ ascendancy to the top of the Test Championship has coincided with Philander’s extraordinary start in Test cricket. And indeed, he will play a great role in the years to come as South Africa aim to become the world’s best team over a long period of time – it will be sensible to use him as a Test-only bowler in the long run. 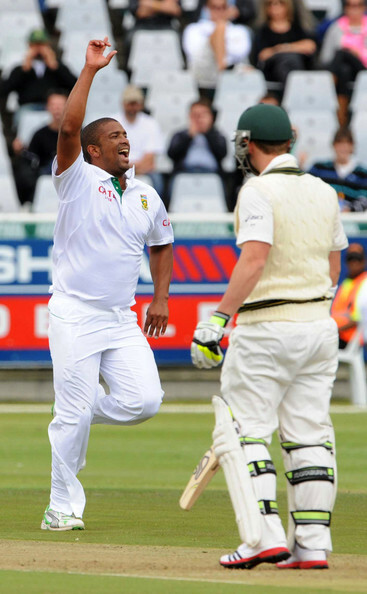 They will be hoping that Philander’s start is just a sign of things to come, and not the peak of his career.